August 1959. 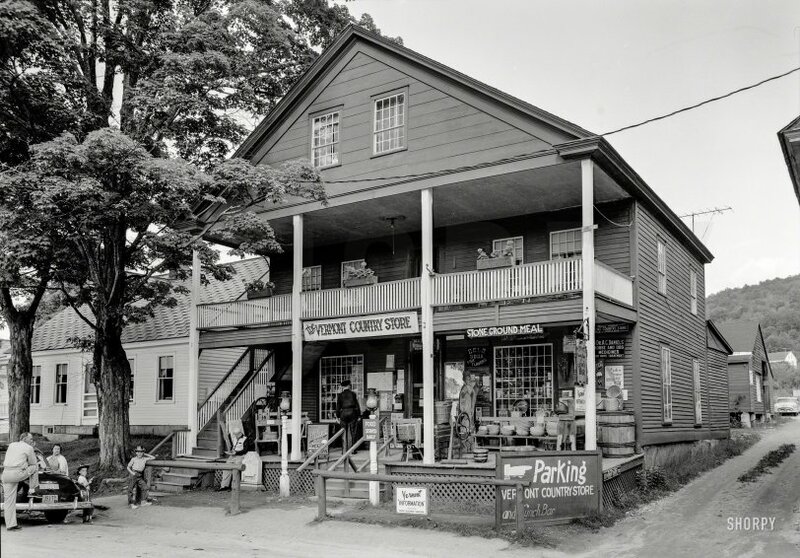 "Vermont Country Store, Weston Common, Windsor County, Vermont. Building dates to 1828. Typical early country store still serving its original function, but filled with more merchandise than it would have originally had and now a popular tourist attraction." Photo by Ned Goode for the Historical American Buildings Survey, National Park Service. View full size. Submitted by Darryll on Wed, 07/29/2015 - 10:16pm. My favourite part of this photograph has to be the family gathered near the car. Each person is demonstrating a great deal of personality in their respective poses and also each child is mirroring the body language or facial expression of one parent respectively. A fascinating glimpse at family dynamics. Submitted by Susan Trexel on Sat, 06/20/2015 - 5:36pm. Submitted by TomK on Sat, 06/20/2015 - 4:52pm. They've expanded to national catalog and internet sales as well. What better place for antifungal cream? Submitted by Mr Mel on Sun, 06/21/2015 - 8:03am. I wonder if the Wilson Ice Cream brand was replaced with Ben & Jerry's which is made a mere 90 miles away in Waterbury, Vt. Submitted by Islander800 on Fri, 06/19/2015 - 7:54pm. We used to vacation for a few weeks every summer in the late 50s when I was a kid at various rented cottages in Highgate Springs, Vermont, on Lake Champlain, just over the border from Quebec where we lived in Bedford, about 20 miles away. The favorite country store to go for popsicles and snacks was across the two-lane highway through town from the original multi-storied wooden and balconied Tyler Place resort hotel, which I believe burned down in the early 60s. Good memories of a kid in the summer in Vermont. Submitted by merick on Fri, 06/19/2015 - 1:43pm. 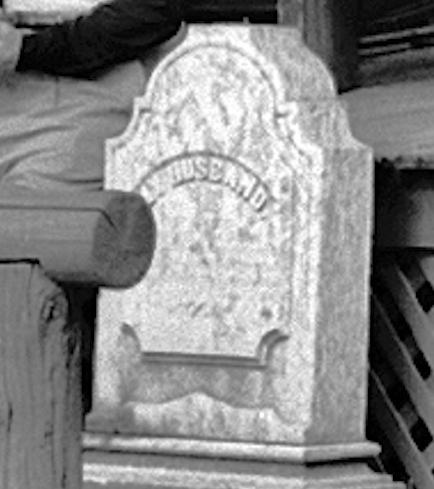 The tombstone reads "My Husband". Submitted by Phantasmagoria on Fri, 06/19/2015 - 11:56am. I am curious to know what is inscribed on the cemetery-style stone marker ? Submitted by Kcamp on Fri, 06/19/2015 - 11:53am. The man has his foot resting on the bumper of a 1949 Chevy. In the back rear of the building is a 1954 Dodge. Submitted by TimeAndAgainPhoto on Fri, 06/19/2015 - 10:55am. Seems the place has staying power. Submitted by rivlax on Fri, 06/19/2015 - 10:50am. 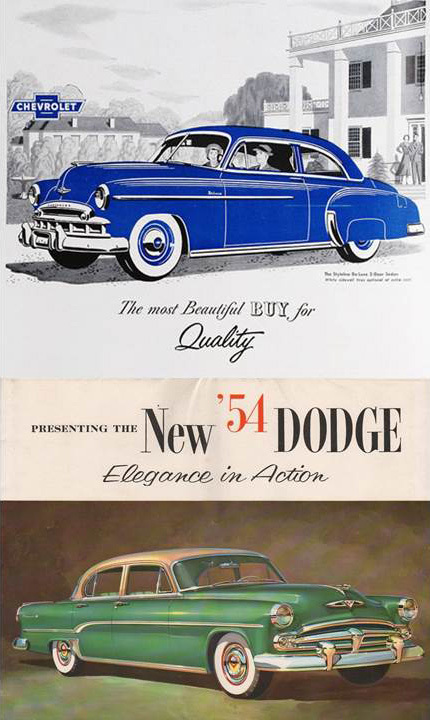 When you could put your foot on your car's bumper and lean all your weight on it without ruining it.